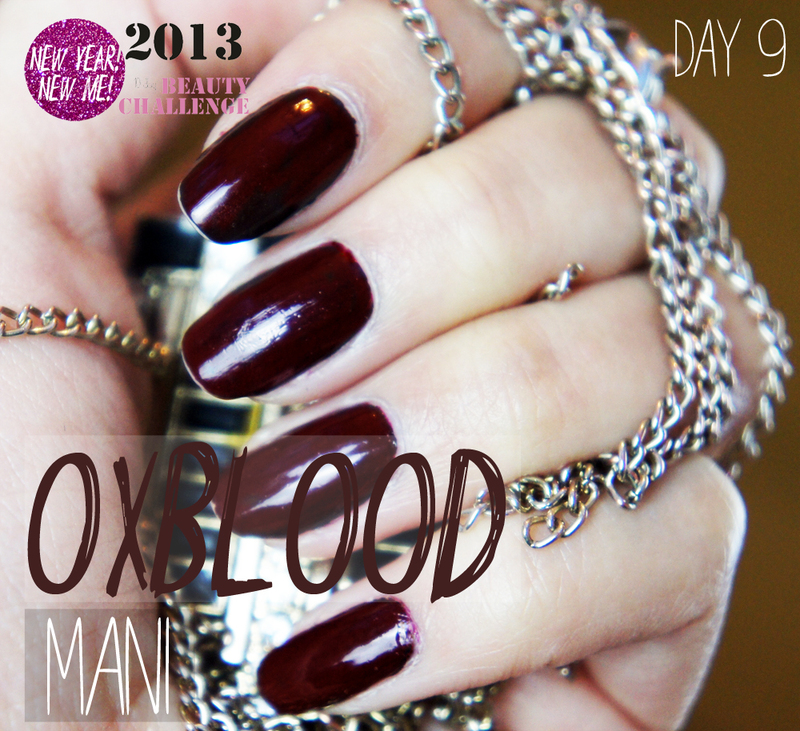 Oxblood has been the word on everyone’s lips and nails lately! So I thought I’d use Today’s challenge to hop on this wagon with a gorgeous mani post myself! Since I don’t have a Reddy Brown Polish fit for this look! I decided to cocktail my own with two of my own polishes instead! All I needed was a deep red along with a black polish to create my Oxblood Manicure! I used my Mac Nail Lacquer in Vintage Vamp over a coat of Black Nail Polish (a random one I found) throw on some Clear Top coat and voila! 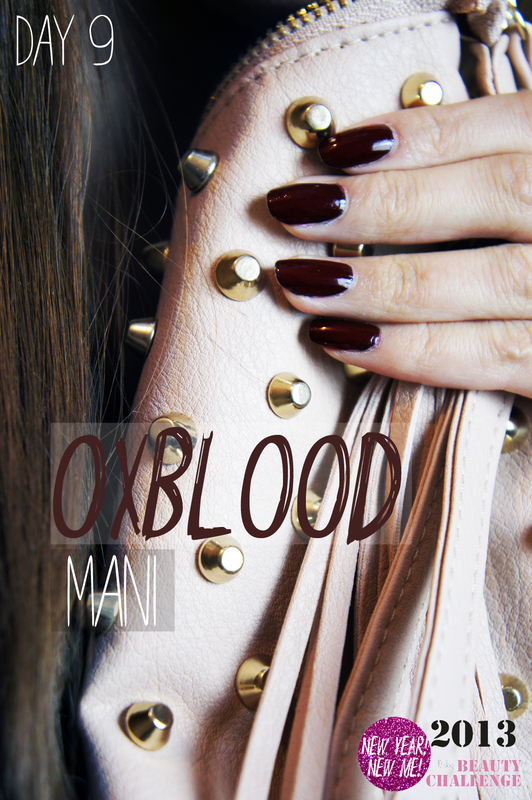 Oxblood Manicure! If you would like to try cocktailing your own Oxblood Manicure I recommend you only apply one coat of each shade to avoid it looking too thick! Also make sure the Black coat is dry before you apply the red for best results! I hope you liked my Oxblood mani as much as I do! It’s perfect for both the Day and the Night! 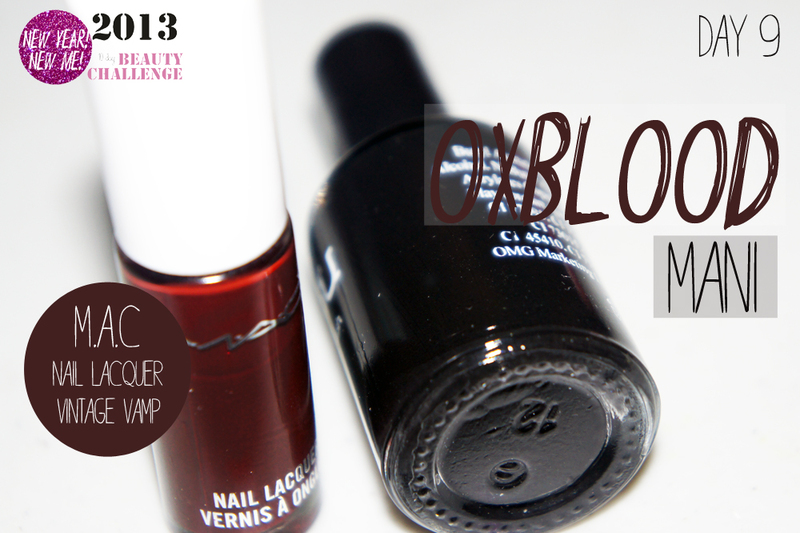 Tags: Beauty Trend AW12/13, MAC Cosmetics, Mac Nail Lacquer, Manicure, Nail of the Day, Nail Polish, Nails, NOTD, Oxblood Manicure. Bookmark the permalink.